I arrived at the University of the Western Cape with an undefined sense of self, not particularly religious in spite of my upbringing, not particularly Coloured in spite of having grown up in a Coloured neighbourhood or having attended a Coloured school, not particularly leftwing in spite of having read the densely constructed sentences in the TLSA's Educational Journal clandestinely provided by our neighbour, my Maths teacher. I and many of my fellow students had a vague sense of opposition to apartheid injustice. It was Black Consciousness that gave us a definitive sense of self. 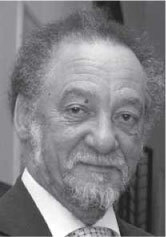 Jakes, then meneer Gerwel, was one of those who provided theoretical underpinnings to the student community in the unsettled 1970s. However, a curious thing happened in my third year. I somehow landed in his office and during that conversation spoke with the declamatory certitude of the convert. His response was a quiet remark that stayed with me all these years: "BC is nie alles nie," Black Consciousness is not everything. I was to learn that comprehending the "relative"-the ability to hear the other, to feel with the other and above all to doubt-makes us more human. Jakes' singular contribution to his field of study is his rereading of pre-1948 Afrikaans novels pointing out how earlier novelists contributed to the stigmatisation of people of colour. In later studies he had shown that 'organicist approaches' aided and abetted the creation of self-contained literary readings that refused the intrusion of the broader social experience. He also inculcated with generations of students the understanding that Afrikaans literature is part of South African literature; that to understand themselves they had to understand broader South African experiences. The historical materialist, said Benjamin, "regards it as his task to brush history against the grain" (Benjamin, Illuminations 258).4 Jakes taught his students to read against the grain, against the dominant position of power. Al sou hierdie land myne wees, en al sy rykdom, maar die liefde ontbreek my, dan is hierdie land myne net met sy armoede. Toe ek 'n kind was het ek gehaat soos 'n kind, maar noudat ek 'n man is, het ek lief soos 'n kind. Jakes relished the coming of democracy and the opportunity to create an open society where the values of humaneness, equity and equality were achievable. In his quiet, unassuming way he defended the country, its government and institutions against all comers. In the last years of his life he became increasingly critical of the highhanded and corrupt ways of those in power. He loved cricket, so much so, that he instituted, in the early 1980s, for several successive years an annual cricket match between our department and others. He even cajoled local businesses into sponsoring all sorts of awards. However, we were no good as cricketers. To prolong the game we had to customise the MCC rules, otherwise both teams would have been in and out, twice, within ten overs and the whole game would have lasted half an hour. Normally a batsman gets two batting chances per match, one each innings. We got four, two per innings. We were so putrid that the winning team often won by minus runs, another of our adaptations. Jakes loved test cricket, the five day version that goes on for session after session after session, often with no winner and no loser. He loved the attack and counterattack: the guile of the spinners, the strength of the quicks and the resolve of a batsman in trouble. He could appreciate a well-timed cut backward of square or a glorious drive through the covers. He had little appreciation though for the modern reverse sweep where the batsman switches his stance thereby creating an uneven contest with the bowler. I think he didn't like this innovation because it is not entirely in the spirit of the old colonial game. The intrinsic values of cricket drew him to it: the fairness of the contest where individual brilliance and resolve matter but collective commitment matters more, and where civility counts for everything. One of his core values was civility, comity to be precise. In private conversations and in his Afrikaans newspaper columns he regularly noted the increasing use of brash language and uncouth behaviour in our public discourse: in parliament, on the sports field, during elections. His persistent message was that we need to value one another as human beings whatever our differences. I remember a conversation we had many, many years ago where his civility must have been sorely tested. As a young firebrand I was critical of some or other plan he had devised and wanted implemented in our department, and I made my views known to our colleagues in his absence. He got wind of my dissent and invited me to a discussion. It was a conversation where Jakes and I differed fundamentally. I remember, that from my side, the words "no consultation" and "academic dictatorship" fell. I think he must have been hurt, I would have been, but we had this awkward conversation: me uptight and he measured, civil, not losing his cool. Whatever the measure, it was not implemented, and that day I had learnt a lot about conflict management and civility. Recently the Stellenbosch theologian Dirkie Smit reminded me of a point Jakes made on the grammar of civility: "Om aan te hou praat, redelik te praat, selfs waar die drif en die daad dreig om die woord te verswelg [...] Om elke gespreksgenoot ernstig op te neem, na sy woord te luister, en hom steeds as medespreker te respekteer. [Ons moet] volhardend [...] bly werk aan die skepping van daardie grammatika van saamlééf in geregtigheid." Jakes was not a man given to chortles and cackles. He was a reserved man, an introvert, always in control of himself. He could appreciate a good story and you might at best get a chuckle. He could in his self-effacing manner tell an anecdote, quietly on the fringes of crowd, or even play a little trick. I remember being invited to one of his birthday parties and him telling me pointedly that it was his fiftieth birthday. Now, one does not turn up at a fiftieth birthday party with only a bottle of shiraz and I plucked a book I had bought recently from my bookshelf, Bill Nasson's Abraham Esau's War, and wrote an appropriate fiftieth birthday message, only to find out that he was turning 48. He chuckled when he read the inscription. 'n Paar jaar gelede is twee van ons taalkundekollegas, Tony Links, 'n historiese taalkundige en vertaler, en Ikey van der Rheede, 'n sintaktikus, kort na mekaar oorlede. Toe ek en Jakes met mekaar daaroor praat, was sy stroewe opmerking: "Ek dink die Here het hulp nodig gehad, want hy't probleme met die Afrikaanse vertaling en sintaksis van die Groot Boek." All of that said with the faintest chuckle. Phoebe, Jakes het van jou gepraat as sy "stil kuil tussen riet"... Dit is met groot hartseer dat ons van hom afskeid neem, maar ons hartseer kan nie seerder en dieper wees as joune of dié van Jessie en Hein en julle familie nie. Mag julle die krag kry om sonder hom voort te gaan. 1. See also my Afrikaans obituary published on LitNet. This edited tribute was delivered on Sunday 2 December 2012 at a largely secular private cremation held at Durbanville Memorial Park, Cape Town. Other tributes included those by Mr Colin Gerwel, the deceased's youngest brother; Mr Etienne Gerwel, a nephew; Mr Thabo Mbeki, the former South African President; Mr Ton Vosloo, the chairperson of the Naspers Board; Dr Dwight Triegaardt, a student friend and business associate and Prof Ampie Coetzee, Gerwel's successor as Professor of Literature in the Department of Afrikaans and Dutch at the University of the Western Cape. The writer Antjie Krog was scheduled to read from her poetry but her flight from Bloemfontein to Cape Town was delayed and she missed the occasion. Mr Fred Robinson, a business associate, served as programme director while the very Reverend Michael Weeder, Dean of St George's Cathedral, said prayers and performed the committal. The previous day, at a public commemoration in the Great Hall of the University of the Western Cape, government paid tribute along with non-governmental, academic, business and sporting bodies. The eulogists were Mr Joel Netshitenzhe on behalf of the South African Presidency; Mr Shaun Johnson on behalf of the Mandela Rhodes and Nelson Mandela Foundations; Mr Koos Bekker (the multinational media company, Naspers); Mr Paul Hardy (the multinational construction company Aurecon), Mr Mustaq Brey (Brimstone, a local South African company); Profs Saleem Badat and Brian O'Connell the respective vice-chancellors of Rhodes University and the University of the Western Cape and Dr Andre Odendaal on behalf of the Western Cape Cricket Board. Prof Njabulo Ndebele, writer and former Vice-Chancellor of the University of Cape Town, delivered a tribute as a friend and colleague as did family members Ms Liesel King, a niece, and Mr Heinrich Gerwel, the deceased's son. Prof Jaap Durand, Gerwel's deputy for much of his term as UWC's Vice-Chancellor, and Archbishop Desmond Tutu offered prayers and the programme director was Mr Trevor Manuel, former Minister of Finance and Minister in the Office of the Presidency. 2. On my assumption of the editorship of Tydskrif vir Letterkunde I invited him to become a member of the journal's advisory board. 3. In the original German text Benjamin used the term "culture" denoting spiritual and intellectual achievement rather than "civilization" in the sense of technical materiality, see Illuminationen (27172): "Es ist niemals ein Dokument der Kultur, ohne zugleich ein solches der Barbarei zu sein." 4. "Der historische Materialist [...] betrachtet es als seine Aufgabe, die Geschichte gegen den Strich zu bürsten" (Benjamin, Illuminationen 272). For the sake of accuracy is it necessary to point out that Gerwel regarding "Über den Begriff der Geschichte" ("Theses on the Philosophy of History") often drew attention to Benjamin's ambivalence on the usefulness of historical materialism in the face of Fascism and Nazism. Benjamin, Walter. Illuminationen: Ausgeweahlte Schriften. Frankfurt am Main: Suhrkamp Verlag, 1961. [ Links ] -. Illuminations. Ed. Hannah Arendt. Trans. Harry Zohn. Glasgow: Fontana, 1973. [ Links ] Small, Adam. Klein simbool: prosaverse. Cape Town: HAUM, [1958?] [ Links ]. Willemse, Hein. "Gert Johannes (Jakes) Gerwel: 18 Januarie 1946-28 November 2012." (Obituary). [ Links ] LitNet. 3 Des. 2012. <http://www.litnet.co.za/Article/gert-johannes-jakes-gerwel-18-januarie-1946-28-november-2012> [ Links ].